Split your signal with this quiet, versatile AB/Y switcher. 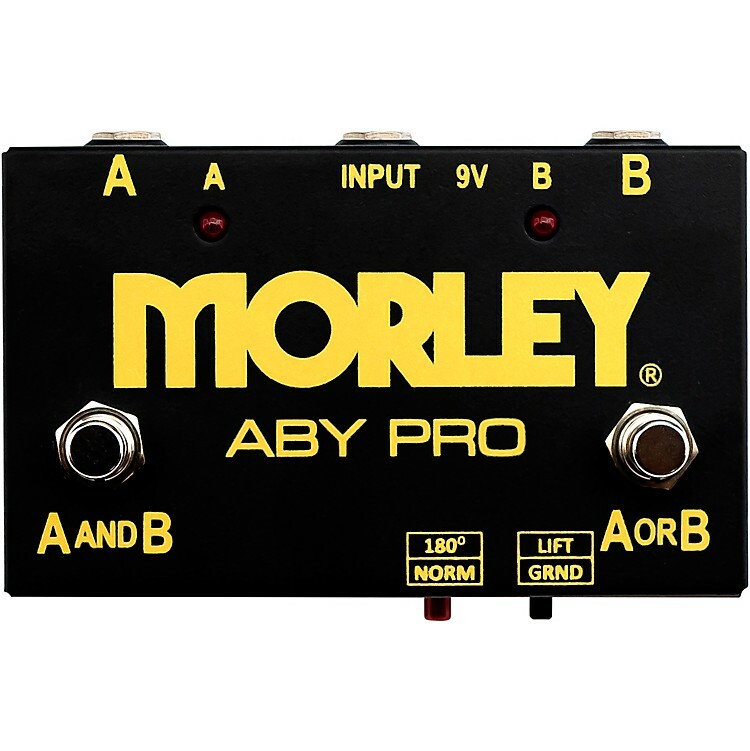 The Morley ABY Pro Selector pedal allows you to route one instrument to two output sources. Select between either output sources or use both at same time. It features isolated channels, so there's no crosstalk or bleed-through. And the ABY Pro uses Ebtech custom isolation transformers to prevent ground loops. The silent switching eliminates “pops” when switching, and the Polarity Reverse and Ground Lift switches provide quiet operation. It also offers LED indication, cold-rolled steel housing, powers from 9V battery or adapter.